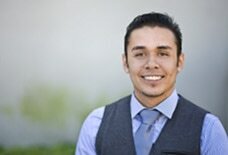 Gabriel Estrella is a first-year Ph.D. student specializing in Learning, Teaching, Cognition and Development (LTCD) at the University of California, Irvine. Gabriel is interested in researching how variables within the human cognition can affect academic performance. He is particularly interested in investigating the cognitive processes involved in (reading, math and science) learning, developing interventions aimed to increase academic performance, and generating instructional designs grounded in cognitive principles. Gabriel received his B.A. in Psychology from the University of California, Santa Barbara in 2013. In addition to graduating with high honors, Gabriel was awarded the Academic Excellence award for his academic achievements and Distinction in Major following the completion of his senior honors thesis investigating how principles of emotional design can be used to facilitate learning in multimedia learning environments. Gabriel has also been honored with receiving UC Irvine’s prestigious Eugene Cota-Robles Fellowship.